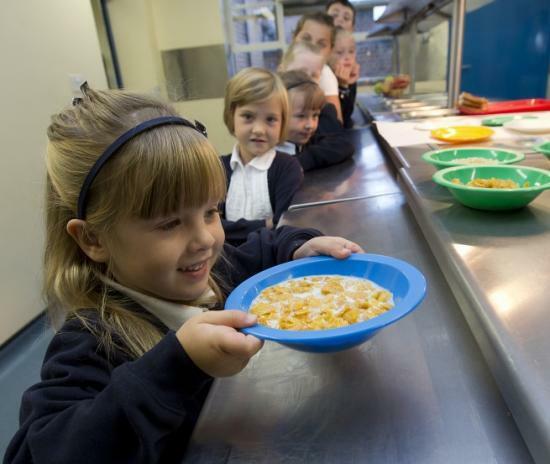 Kellogg's is doubling the number of grants it offers to school breakfast clubs across the UK. Since 1998, the Kellogg's Breakfast Clubs programme has supported over 3,000 breakfast clubs by providing training, grants and more than 70 million bowls of cereal. The increase in grants available to schools has been enabled by new range of cereals, WK Kellogg, that donate 10p to good causes for every pack sold. The wheats and granola range is named after the cereal giant's founder, who was a well-known philanthropist and left his entire fortune to charity back in the 1950's. Oli Morton, managing director for Kellogg's UK and Ireland, said: "Kellogg's has supported breakfast clubs in the UK for 20 years and we are delighted to be able to support significantly more clubs through our grants programme in 2019. "We are proud to have established many breakfast clubs up and down the country that contribute vastly to improving children’s attendance and attainment as well as alleviating hunger in some cases. It’s not just the children that benefit - it’s a lifeline for parents too."